Sunset Plaza Dental has a team of dental professionals working together in order to provide you with comprehensive dental care in one convenient location. 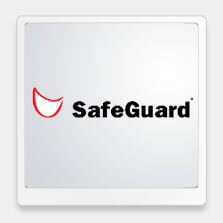 As your Safeguard dental insurance dentist in West Hollywood provider, Dr. Ghasri offers basic preventative and routine general dental care as well as more specialized dental care, which includes endodontics, periodontics, restorative dentistry, orthodontics, and cosmetic dentistry, so that you can have the healthy, attractive smile you have always wanted. As your West Hollywood delta Safeguard insurance dentist, Dr. Ghasri provides dental exams that include cleanings, X-rays, and gum disease and oral cancer screenings. We offer customized treatment options and personalized recommendations for continuing care based on your own goals and oral health care needs. Education is a critical part of our continuum of care. Even when you practice good oral hygiene habits, brushing twice daily, flossing daily, and visiting our dentist on the recommended treatment schedule, you may still occasionally experience tooth decay. Porcelain or tooth-colored resin fillings may be an option for you. Broken, cracked, or badly decayed teeth may require root canal treatments in order to preserve their function and your oral health. Poor oral hygiene, aging, medications, certain health conditions, and smoking can all increase your risk for developing periodontal, or gum, disease. If you have any risk factors for gum disease, your Safeguard dental insurance provider in West Hollywood, Dr. Ghasri, may suggest a more frequent exam schedule or offer treatment recommendations in order to reduce your risk. If you already have symptoms of gum disease, we offer a full range of treatment options, including scaling and planing, periodontal surgery, bone and gum grafts, dental extractions, and implants, in order to restore your periodontal health. 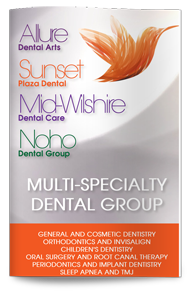 Sunset Plaza Dental’s West Hollywood Safeguard dental insurance provider, Dr. Ghasri, will coordinate all aspects of your oral health care, emphasizing your oral health and preventative care and education. Our clinic is a multi-specialty, full-service dental practice that is dedicated to providing you with the healthy, naturally beautiful smile of your dreams. Contact our West Hollywood dentist today to learn more.